Basement is one place in your house, which is always in need of a dehumidifier. This is mainly due to lack of ventilation and sunlight. Such circumstances are very favourable for the growth of moulds and mildews. This will damage all metal and wooden fittings and fixtures. Only a basement dehumidifier can reduce the humidity in such a situation. Before you select a suitable model, you must review your requirements. 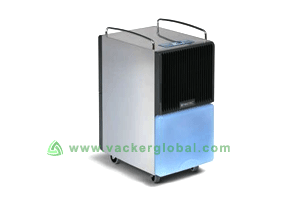 This article can help you out choose your ideal basement dehumidifier. Usually it is always a precautionary measure to install one basement dehumidifier. This is mainly because sunlight does not reach here, nor does fresh air. Also, humid air is heavy and tends to settle in the basement. If you can sense the musty smell, damp air with a stale feel these are the first signs. If you see fungus on any fabric or soft clothes, then you are already on secondary stage. In such case, your basement needs a dehumidifier right away. Further delay can make irreparable damage to your wall and stored goods. So, even before the first possible sign of damage, you should be ready with a basement dehumidifier. 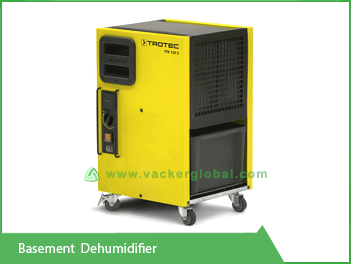 There are different types of dehumidifiers available in the market. But for your basement, you need a heavy duty machine. This is why a basement dehumidifier is a separate category in itself. An efficient basement dehumidifier comes with an in-built pump or external pump. This pump is used to pump water to the ground level above head. It should automatically drain this water when the container is filled up. You can use this water for your garden. If you have a large basement, your dehumidifier has to be of high capacity. Always customers tend to go for economic models of lower capacity. This is not advisable since there is a dehumidification capacity for each model. You can calculate the required capacity of dehumidification using our free calculator. Thereafter you can select right model from our selection list. If your geographic location is a humid place, there is a high chance of high humidity in the basement. Also, basement dehumidifier should have a hygrostat (also known as humidistat). 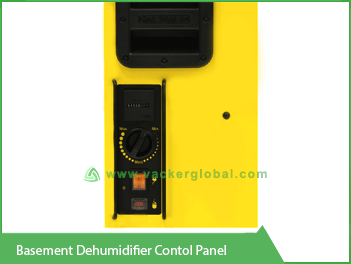 This is to automatically switch ON & OFF the dehumidifier based on the present humidity levels. 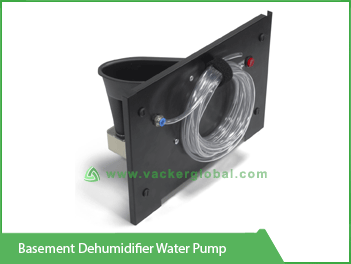 Also, if you have to pump the collected water to a higher level, optional water pump can be fitted in the dehumidifier. Thus, water will be pumped to a higher level or to a sump pit. This will ensure that the dehumidifier can completely function unattended. This is a space saving model of the dehumidifier for basements. This is a high performing machine by Trotec, Germany. The major technical features are listed here. The machine removes 28 litres of water per day when surrounding temperature is 30 °C and humidity is 80 % RH. The machine removes 11 litres of water per day when surrounding temperature is 20 °C and humidity is 60 % RH. Maximum capacity of dehumidification is 32 litres per day. Max. air volume capacity is 300 cubic meter per hour. The machine can be operated in the following conditions. Operating Electrical values of the machine are as below. a. Input Electrical voltage is 230 Volt AC. b. Frequency is	50 Hz. c. Max. power consumption is 0.56 kW. d. Nominal current consumption is 2.5 Ampere.